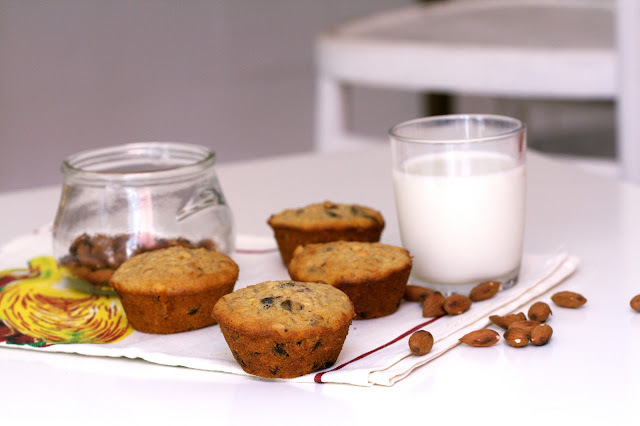 Who can resist a perfectly crumbly, gently sweet, wholesome breakfast muffin? And when that very same muffin promotes a certain, um, regularity..well, that is the added benefit of including both prunes and oats in the same muffiny package. Prunes get a bad rap in the states. Abroad they don't seem to have attained the same stigma of being just a bowl of something old and wrinkly next to grandma's bedside. Rather they can be a welcome addition to baked goods. Anywhere raisins are present, chopped prunes can be used for a bit more tangy sweetness and moisture. 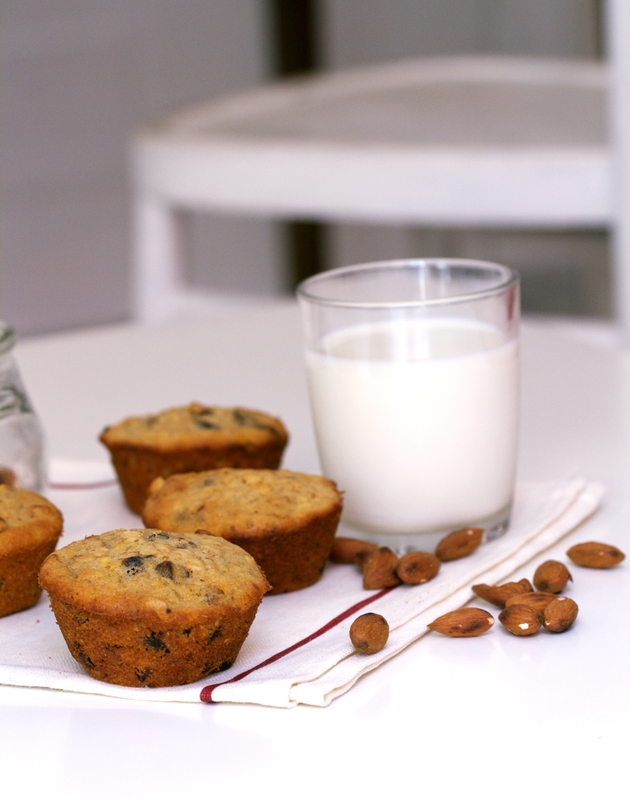 In these muffins, toasted almonds give a bit of texture. Oats and a mix of white and wheat flour make them ideal for brekkie. Orange zest, cinnamon, and nutmeg give it a bit of zing. And it's all quite healthy with honey and Greek yogurt added into the mix. Careful when they are warm, their addictiveness hides how filling they are. Perfect for a post-run / workout bite too! 1) Start the butter melting and preheat the oven to 200°C/400°F. 2) In a large bowl, mix together all the dry ingredients: flour, sugar, baking powder, salt, oats, prunes, almonds, cinnamon, and nutmeg. 3) In a medium bowl, whisk the egg. Whisk in milk, yogurt, orange zest, melted butter, and honey. 4) Oil or line muffin pan. Stir the wet mix into the dry one. Combine until no clumps. Scoop into muffin wells. Bake 20-25 minutes.